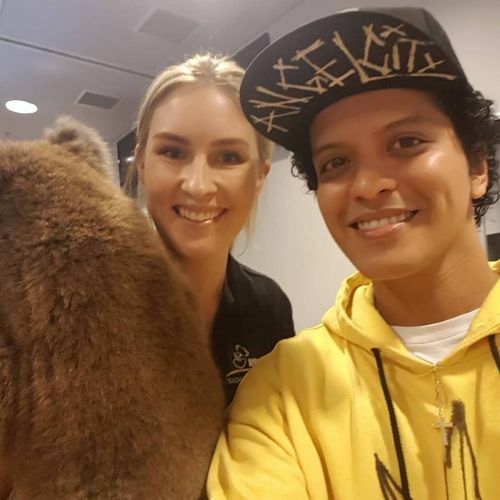 Koala Judah with WestOz Wildlife Keeper Beth Mullany and Bruno Mars. 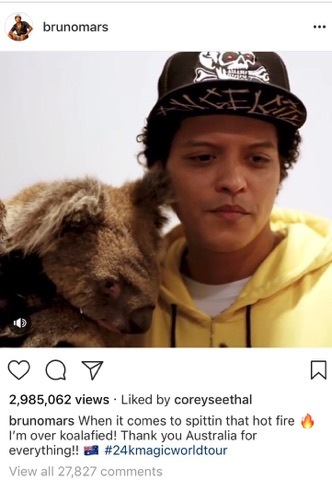 Singer Bruno Mars got up close and personal with koala Judah from West Oz Wildlife before his concert in Perth yesterday. West Oz Wildlife is based in Karnup and keeper Beth Mullany took Judah backstage to visit Mars before the concert began. Mars shared the video of him sweet-talking a cuddly Judah on his Instagram account. 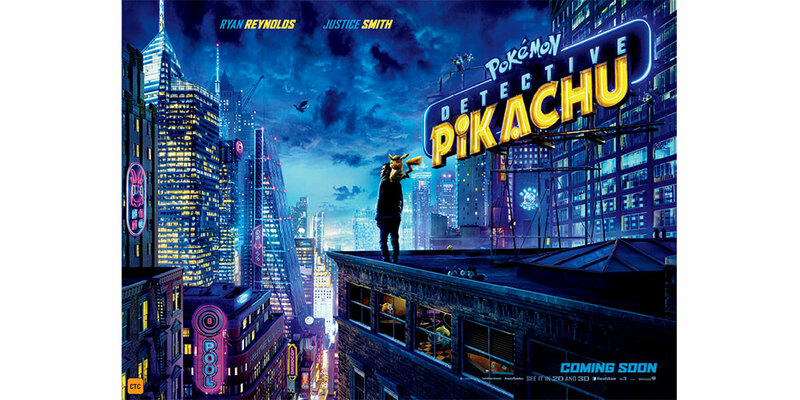 The post has since garnered almost three million views. Mars enjoyed sell-out concerts while in Perth to finish his 24Magic World Tour. Miss Mullany said she hoped the publicity from Mars’ Instagram posts would boost awareness about koalas. “We just hope more and more people fall in love with these amazing animals, understand them more, learn about then and want to conserve them in the wild,” she said.